Personal Injury Wrongful Death Lawsuits and Recoveries | Hupy and Abraham, S.C. Wrongful death is not always murder. The person who killed your loved one might not have intended to kill him; instead, he may be devastated that your loved one died. However, that doesn’t change what happened. If your loved one died because the person who killed him was negligent then you, or your loved one’s estate, may have a wrongful death lawsuit. A wrongful death accident can be emotionally and financially devastating for those who lost a loved one. If you have lost a family member in this way then you should speak to an attorney to find out more about your legal options. Don’t wait to find out what could have been done. If you do then you risk having the statute of limitations expire and losing your right to a legal and financial recovery. Can You Bring a Wrongful Death Lawsuit? The defendant was negligent. In other words, you will need to establish that the defendant owed your loved one a duty of care, that the duty of care was breached because the defendant failed to act like a reasonable person would act given the circumstances, that the breach of the duty of care caused your loved one’s death, and that you have the legal right to recover damages. You have standing to bring a case. If you are the personal representative of the estate then you likely have the right to bring a lawsuit on behalf of the estate. In some situations, certain relatives may also have the right to file a case. Additionally, you will need to prove that damages have resulted from your loved one’s death. Medical bills incurred by the person who died from the time of the accident until his death. Any pain and suffering endured by the decedent prior to his death. Past and future lost income from the time of the accident until what would have been the decedent’s likely retirement date. Past and future emotional suffering of the surviving family members. Out-of-pocket costs, such as funeral costs. An experienced wrongful death lawyer can review these damages—and any other potential damages—with you before you file a case. You can begin protecting your recovery today by contacting us for a free, confidential, no-obligation consultation. 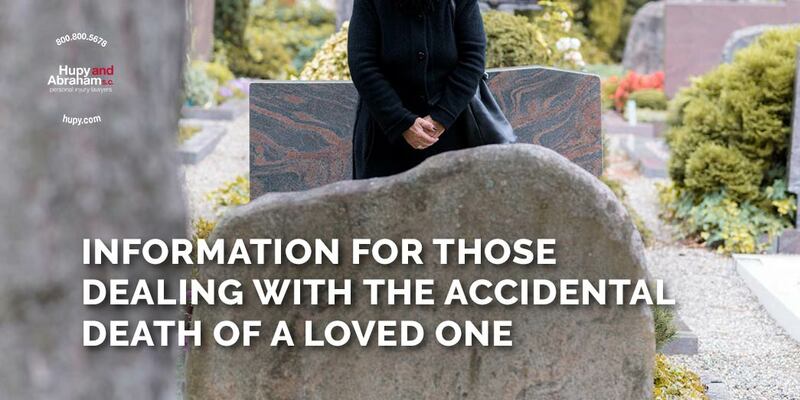 Contact us online or call us directly at 800.800.5678 for additional information or to schedule your initial meeting after a wrongful death or any other type of accident injury.